Xiaomi CEO Lei Jun and Xiaomi will replicate China’s business model in India and announced that it will invest $ 1 billion to 100 Indian startups over the next five years, our sister media TechNode China is reporting. “We are interested in any application that can increase the frequency of using smartphones, as long as they are mobile Internet accelerating the popularity of the India market. We only plan to take a minority stake in order to work closely with these companies,” Lei Jun, CEO of Xiaomi said. Xiaomi hopes to replicate the company’s investment experience in China to India. In the past four years, Xiaomi and its Shunwei Capital (顺为资本) has invested $4 billion in 300 companies in China. Shunwei Capital was founded in 2011 by Lei Jun and Tuck Lye KOH, and has invested in mobile internet and IoT companies such as Xiaomi, self-balancing scooter Ninebot, 17zuoye, video streaming service provider iQiyi, Renrenche, 51Talk, Aiyibang, Misfit, and Xiaomi’s real-time video call provider Agora.io. According to the latest smartphone data released by IDC, Xiaomi and South Korean manufacturer Samsung made up 9.2 million sets of mobile phone shipments with same 23.5% market share, becoming the two largest smartphone brands in India in the third quarter of 2017 ending September. According to the report, Xiaomi India recorded a growth rate of about 300% over the same period of last year, making it the fastest growing smart phone brand in the Indian market. This partly attribute’s to Xiaomi’s Redmi Note 4 sales propelling in India market. Xiaomi already has invested in some Indian startups over the past years. In April 2016, Xiaomi led the $25 million investment in India’s online music and video provider Hungama Digital Media Entertainment, which is Xiaomi’s first investment in India. In October, India’s online installment for students platform KrazyBee has completed a $8 million Series A round led by Xiaomi Hesun for capital, E-city Ventures and RK Group, including equity financing and debt financing. Xiaomi entered India market in July 2014. Currently, Xiaomi has two offices in India; Xiaomi’s headquarter is located in Bangalore, the startup city and has another office in Delhi, India’s capital. 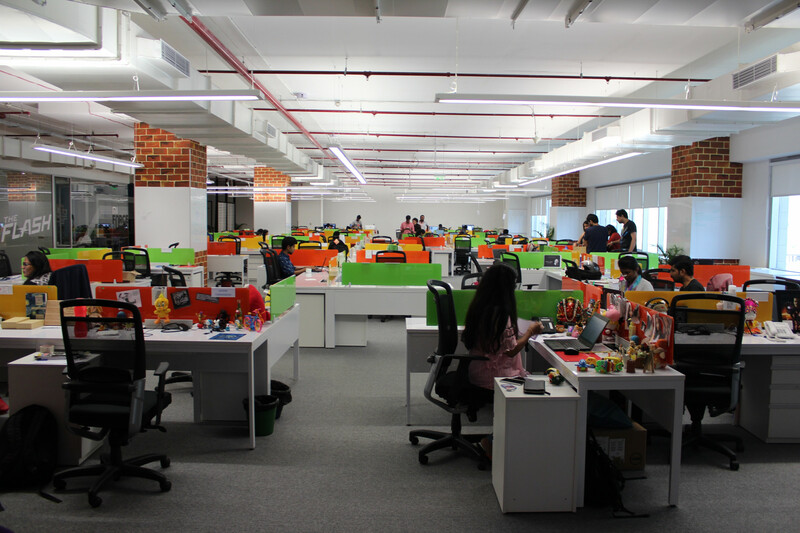 The total number of employees in Xiaomi’s operation in India is over 300 people, according to Xiaomi.